In my article on embracing and aligning your energies with fall, I discuss how important it is to support and boost your metal energy and live in harmony with fall. Fall cleanings, warm food, wearing scarves and meditation are just a few of the many ways to stay in balance with the season. Another one–and one of my favorites!–is embracing hygge, the Danish art of coziness. If you haven’t heard of hygge by now, you are missing out! Read on to learn about this wonderful way to approach fall (and winter), what it is, and some of my own suggestions for how to achieve it. 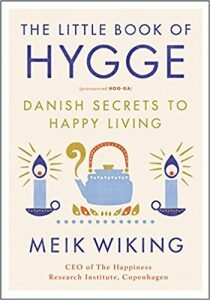 In other words, hygge is the art of mindfulness: of embracing the reality of a cold, blustery, gray day instead of bemoaning the end of summer; of enjoying your surroundings–whatever they may be–and sharing that enjoyment with loved ones instead of complaining about what you don’t have or are not doing. While it’s certainly a buzzword these days, mindfulness has proven health benefits. According to the American Psychological Association, mindfulness can decrease depression symptoms, boost working memory, reduce stress and increase focus. While these benefits are most trackable in subjects who practice mindfulness meditation, practicing mindfulness in everyday life can make you more open to reaping these benefits through meditation and can greatly improve your relationships as well as your outlook on and experience of life. 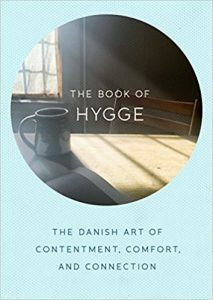 So hygge is mindfulness of and contentment in the reality of your life at any given moment. The New Yorker summarizes the Scandinavian outlook thusly: “There’s no such thing as bad weather, only unsuitable clothes—that all you really need to get through difficult times is shelter and sustenance, kith and kin.” Sounds like something we should all be striving for! I am personally very into cultivating this state of being; in fact, some of my close friends jokingly call me the “Cozy Queen” for how much I am into dim lighting, candles, and soft, comfortable pillows and blankets to name a few. 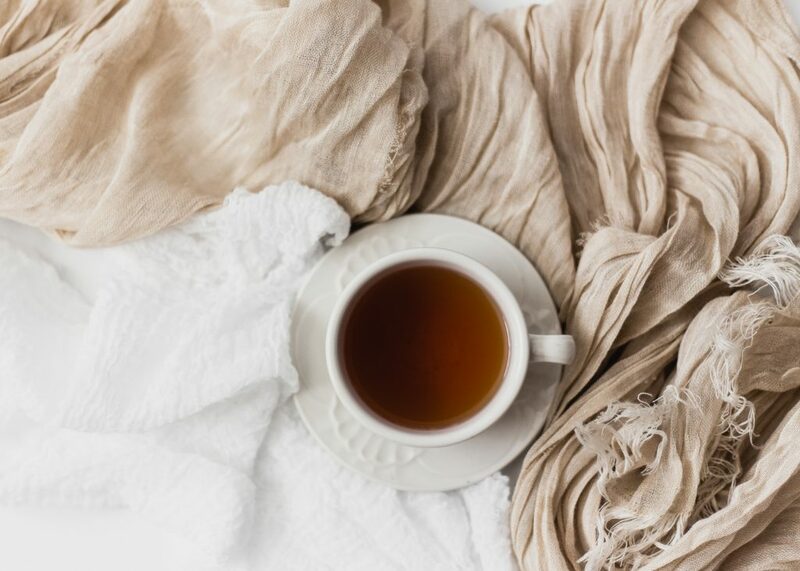 Check out some of my favorite ways to achieve hygge yourself! I love having candles in every room of the house. Every evening, I walk around the house, dimming the lighting and lighting candles. This ritual helps me unwind and set the environment for relaxation. If you’re lucky enough to have a wood burning stove or fireplace that will also do the cozy trick. Bake! Fall and winter is a great time of year to master that sourdough bread! This one may seem counter-intuitive: How can I get cozy if I’m subjecting myself to the harsh elements? Well, have you ever noticed that on wintry days or nights, you feel extra cozy if you’ve been out in the cold and then come back to hot tea, thick, wooly socks and good book? Spending time outside and exposing yourself to nature (appropriately outfitted with a scarf and other warm clothing, of course) is important to maintaining balance, allowing you to breathe in new energy and inspiration into the lungs. 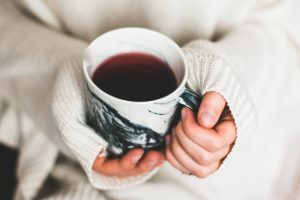 Keeping your body warm is key in Hygge, Keep the kettle going this fall and curl up with hot tea such as ginger or turmeric, or if your feeling festive with friends, heat up some mulled wine or cider. While you’re curled up with your hot beverage, don’t forget to put on your warmest, softest socks! 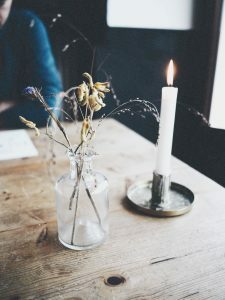 While the weather here in New York is still unseasonably hot and humid and it doesn’t feel much like fall at all, try cultivating hygge at any time of year, no matter the weather: I think you’ll find that it will empower you to reconnect with the important people in your life and to re-engage in your simple pleasures. To Learn more about hygge curl up with one of these two great hygge books. This entry was posted in Home, Self Care and tagged balance, candles, Danish, environment, fall, home, hygge, meditation, mindfulless, screen-free, sourdough bread, tea, the new yorker, warmth.